The WoW lull for me is still going; I have my bucket list to do but even with it, it’s proving hard to get engaged in the game. 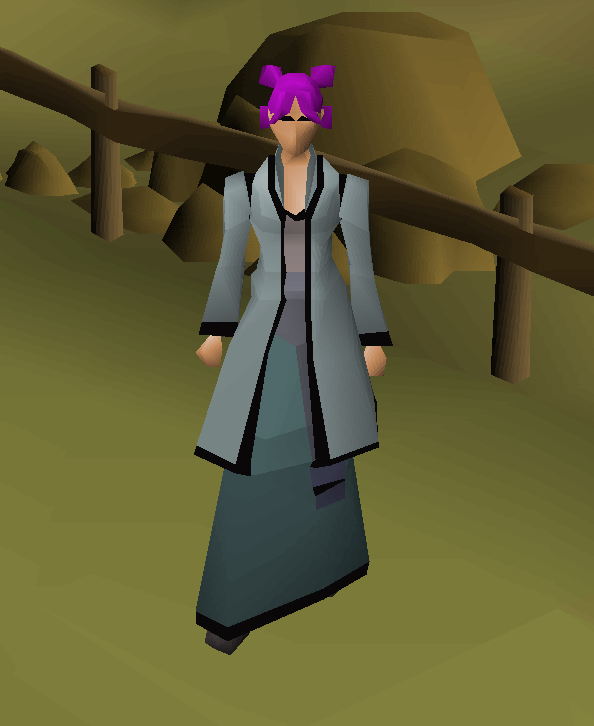 I’m still spending a great deal of time in OSRS and having quite a bit of fun. As you level up you get access to better armor and I can finally now wear the pretty red Dragon armor I’ve been eyeing off for so long. Questing gave me access to buy a winged helmet and flashy white cloak to round out my set. Low-res graphics and all, I do still like seeing my toon all dressed up. 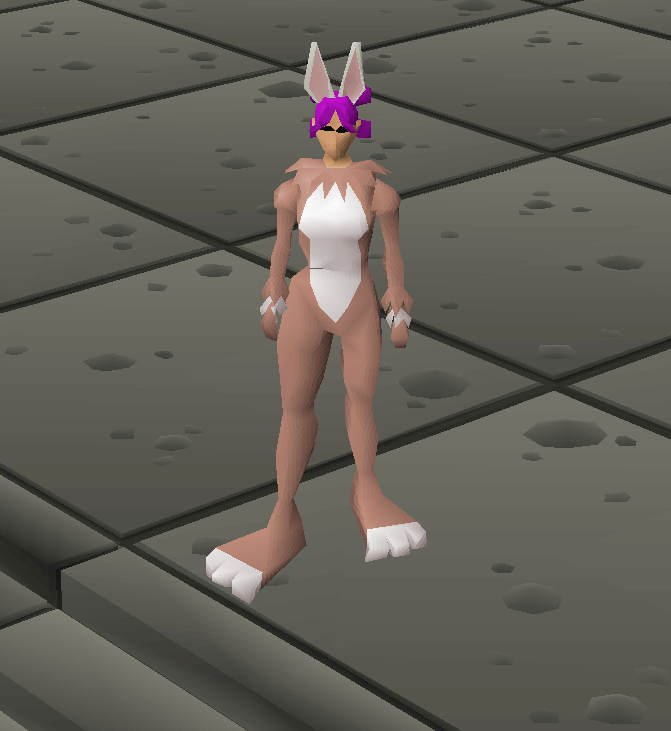 The recent Easter event in game gave me an awesome cosmetic bunny outfit. You can wear all the pieces individually so there are tons of players running around in full amor and bunny ears at the moment. There’s a new raid coming out soon and for testing there were max level worlds opened up for a few days. I popped my toon over there and was able to try on all the different armor in the game. 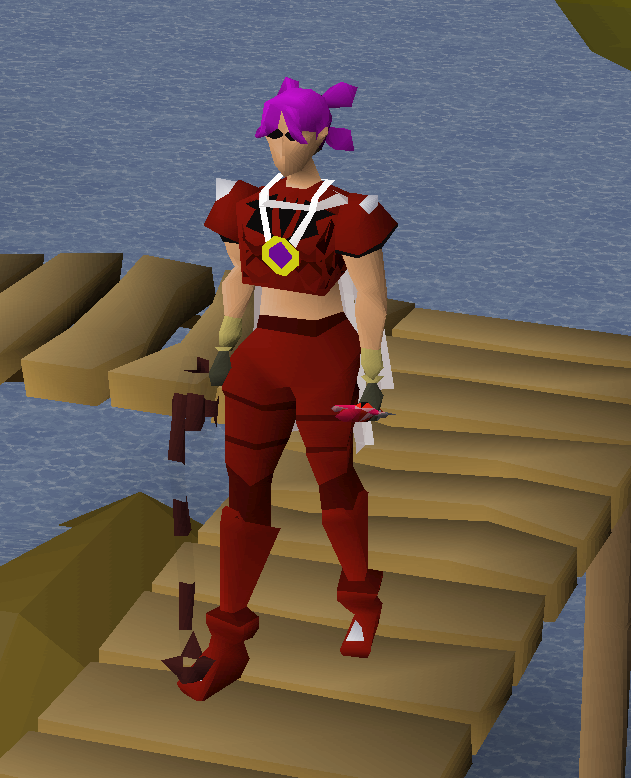 My OSRS bank is getting full with all different outfits and clothes I’ve come across. 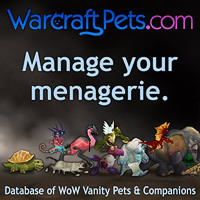 This game needs Transmog!